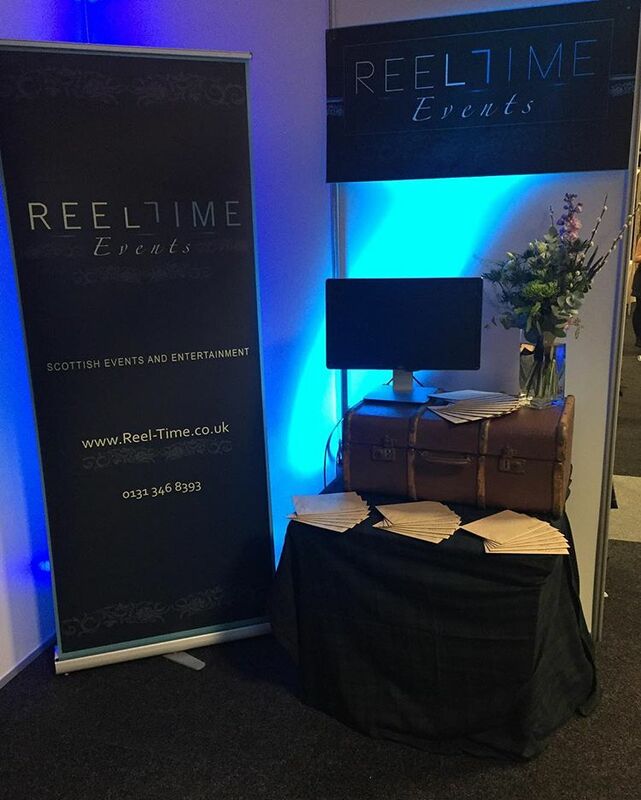 Reel Time were delighted to exhibit once again at the Corn Exchange Wedding Fair last weekend. Claire and Cath spent the weekend chatting to couples about how Reel Time can help make their big day extra special. It was a really nice chance to meet and catch up with existing clients and in several cases, the first chance to put a face to a name. There was also plenty of opportunity to chat to couples who are still looking for inspiration for their wedding entertainment. We hope we have helped with ideas, and look forward to putting the plans in place and making your big day extra special. We were asked by a few people what the trends seemed to be so far for 2017; what the popular choices were? Well, ceremony music is definitely in high demand for 2017. We have been taking an increased number of bookings for clarsach players and string quartets to play during the ceremony. Scottish entertainment is as popular as ever, with pipers and ceilidh bands in high demand. As well as piping for the arrival of guests at the ceremony and piping the bride down the aisle, the piper can perform a whole host of other duties. Our pipers are more than happy to be on hand for photos. As well as piping whilst photos are being taken, the piper could also pose with the happy couple and/or guests in the photos too. Other duties often include piping guests in for the wedding meal, piping the bride and groom to the top table and announcing the cutting of the wedding cake. At the wedding fair, the band that couples seemed most interested in for 2017 was the Scraggly Cats. They are a 5 piece band who provide a great mix between catchy ceilidh and party pop. A ceilidh band is a great way to get guests interacting with each other – a perfect ice breaker, as well as being great fun! We really got the feeling from brides that they were looking for a ‘traditional’ wedding – though we imagine that everyone has a slightly different view of ‘traditional’! As well as helping couples to put plans in place for their big day, the wedding fair was also a great chance for Reel Time to catch up with local venues and suppliers. It’s a great opportunity for us to find out about any changes at venues, new things they are offering and different wedding options. Forging great working relationships with local venues helps us to ensure that your big day will run perfectly smoothly and exceed all of your expectations..
For more details on how Reel Time can help to make your big day extra special, please contact our team who will be happy to spend time getting to know your requirements, talking through different options and ensuring that everything is just right for your special day.